Sir Speedy and its parent company Franchise Services contracted Imagistic to redesign its mobile presence in a way to enable easy reskinning across its other properties. Imagistic rearchitected and redesigned Sir Speedy's existing mobile presence. 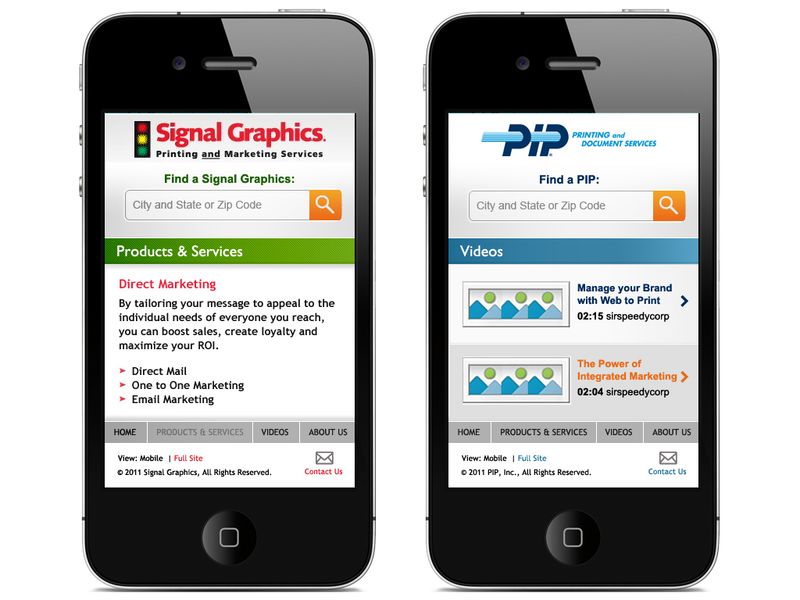 The architecture and design was created to be easily applied to Franchise Services' other printing-based properties (PIP and Signal Graphics) and completed on time, on budget, and in a highly compressed timeline. Sir Speedy is the world’s largest network of printing and marketing services with 600 locations in 13 countries. The products and services provided include traditional printing, copying and mailing services as well as value-added offerings such as web to print solutions, integrated direct marketing, promotional products and more.